Servicemen and women around the world have joined the nation in marking two minutes’ silence on Armistice Day. Armistice Day marks the moment - at the eleventh hour of the eleventh day of the eleventh month - when the First World War Armistice was signed more than 90 years ago in a railway carriage stationed in the Forest of Compiègne in Northern France. 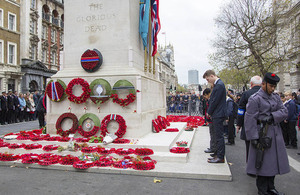 Government Ministers and Defence Chiefs joined members of the Armed Forces, the public and Civil Servants for a service hosted by the Western Front Association at the Cenotaph in Whitehall. Similar services were held across the nation and the world, from local ceremonies in the UK to events at bases and operational establishments including Cyprus, Germany, the Falkland Islands and the Middle East. The National Memorial Arboretum also marked Armistice Day with an outdoor Service of Remembrance at the Armed Forces Memorial, which will now close for up to one year for refurbishment work. The event was attended by Her Royal Highness The Princess Royal, members of the Armed Forces and political representatives. Members of the Armed Forces have taken part in numerous Remembrance activities in the last few weeks. Many have joined The Royal British Legion’s annual Poppy Appeal, donating their time and effort to sell poppies across the UK in aid of the charity. A handful of Cadets and personnel from the Royal Navy, Army and Royal Air Force also recorded a series of war poems and letters at Westminster tube station, which were played across the London Underground on Remembrance Sunday and are being played again today as part of the poetry on the Underground initiative. 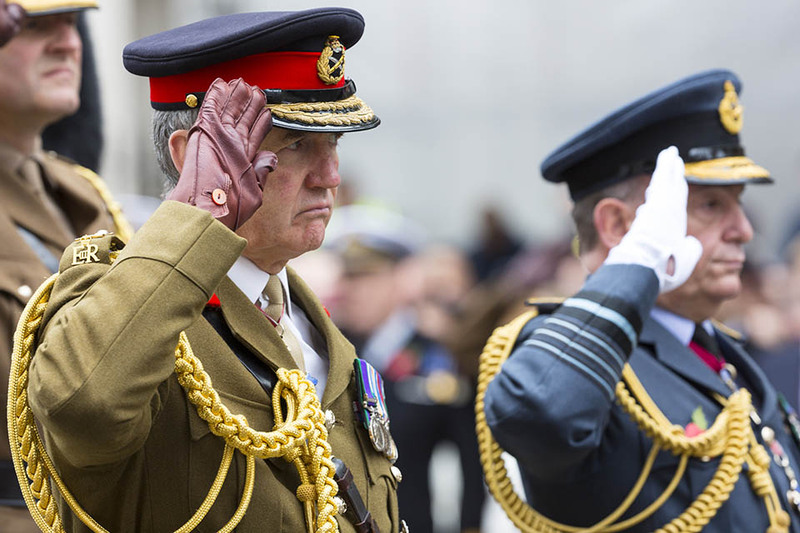 Last Sunday Servicemen and women across the globe came together, including more than 650 troops, on Whitehall as Her Majesty The Queen led the nation in the Act of Remembrance.